This paper proposes an improved droop control strategy for parallel invert er s in micro grid. It employs a double closed loop control method based on measured voltage feedback aiming at the voltage sags problem caused by the introduction of virtual impedance, for invert er control in the micro grid. Firstly, the frequency response character of the closed loop transfer function with virtual impedance and the inductive variation was analyzed in the frequency domain, indicating that the improved droop control method is necessary. an improved droop control strategy based on inductive virtual impedance with measured voltage feedback was proposed. 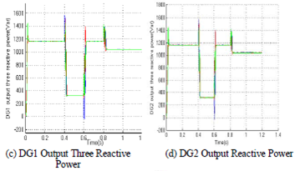 Lastly, the Mat lab/Sim u link simulation results show that the improved droop control strategy can not only solve the output voltage sags of the invert er, but also improve the accuracy of power allocation of droop control, maintain the system voltage and frequency stability. It is proved that the improved droop control strategy is effective. Aiming at the shortage of the traditional droop control strategy, this paper proposes an improved Q-V droop control strategy based on the inductive virtual impedance. Firstly, the frequency response curves of the closed loop transfer function of invert er control system based on inductive virtual impedance and the inductive virtual impedance variation on closed loop transfer function are analyzed in the frequency domain, indicating that the improved Q-V droop control method is necessary . Then, the simulation experiments are built in parallel invert er s operation model of two distributed generations, simulation results of two kinds of operating conditions show that the proposed improved Q-V droop control strategy can eliminate the problem of voltage sags caused by the introduction of the inductive virtual impedance, improve the power allocation accuracy of droop control, and maintain the stability of the system voltage and frequency, so as to ensure the power supply quality of the independence micro grid system. Simulation results show the effectiveness of the improved Q-V droop control strategy. L I Z hen ya. Global energy Internet [J]. Electricity & Culture Today,2015,3. SH I S h an sh an, LU Z on g xi an g,Z H ON G S h u an g xi,Min Yong. Characteristics and development of micro grid in China [J]. Electric Power, 2009. Lopes J A P,More i r a C L, M a d u r e power system,2006,21(2):916-924. WANG Chen g sh a n, GAO Fe i, LI Pen g. Control strategy research on low voltage micro grid[J]. Proceedings of the Chinese Society for Electrical Engineering,2012,32(25):2-8. Guerrero J M,Hang Li j u n,U c e d a J.Control of distributed uninterruptible power supply systems [J].IEEE Transactions on Industrial Applications,2008,55(8):2845-2858. ZHANG Q in g h a i,PEN G Ch u w u,CHEN Y an dong,J IN G u o b in,LU O An. invert er s [J]. Sustainable Energy, Grids and Networks,2015,1:10-19. Solar Energy has been the most popular sources of renewable energy for residential and semi commercial applications. Fluctuations of solar energy harvested due to atmospheric conditions can be mitigated through energy storage systems. Solar energy can also be used to charge electric vehicle batteries to reduce the dependency on the grid. One of the requirements for a converter for such applications is to have a reduced number of conversion stages and provide isolation. Z-source inverter (ZSI) topology is able to remove multiple stages and achieve voltage boost and DC-AC power conversion in a single stage. The use of passive components also presents an opportunity to integrate energy storage systems (ESS) into them. This paper presents modeling, design and operation of a modified Z-source inverter (MZSI) integrated with a split primary isolated battery charger for DC charging of electric vehicles (EV) batteries. Simulation and experimental results have been presented for the proof of concept of the operation of the proposed converter. Fig. 2. Simulation Waveform of the grid current,Ig, DC link voltage,VPN, Capacitor Voltage,VC1, and Battery current,ib for the power balance between the Photovoltaic input power, the AC Grid side and the battery power. Fig. 3. Simulation Waveform for the power balance between the Photovoltaic input power, the AC Grid side and the battery power. A modified ZSI topology has been proposed in this paper is an attractive solution for photovoltaic grid connected charging systems. It consist of a single stage photovoltaic grid (PV-Grid) connection and an integrated charger for PV-Grid connected charging or energy storage. This topology can be applied to centralized configuration for charging in semi-commercial locations such as a parking lot of a shopping mall. For residential applications, this idea can be extended to string inverters with the charger side of the string inverter configurations connected in series or parallel for current sharing. The paper proposes a an energy storage topology using Z source converter through symmetrical operation of its impedance network. D. Aggeler, F. Canales, H. Zelaya, D. L. Parra, A. Coccia N. Butcher, and O. Apeldoorn, “Ultra-fast dc-charge infrastructures for ev-mobility and future smart grids,” in Proc. of IEEE PES Innovative Smart Grid Technologies Conference Europe, pp. 1–8, Oct. 2010. G. Carli and S. S. Williamson, “Technical considerations on power conversion for electric and plug-in hybrid electric vehicle battery charging in photovoltaic installations,” IEEE Trans. on Ind. Electron., vol. 28, no. 12, pp. 5784–5792, 2013. J. G. Ingersoll and C. A. Perkins, “The 2.1 kw photovoltaic electric vehicle charging station in the city of santa monica, california,” in Proc. of the Twenty Fifth IEEE Photovoltaic Specialists Conference, pp. 1509– 1512, May. 1996. S. B. Kjaer, J. K. Pedersen, and F. Blaabjerg, “A review of single-phase grid-connected inverters for photovoltaic modules,” IEEE Trans. on Ind. Appl., vol. 41, no. 5, pp. 1292–1306, Sep. 2005. 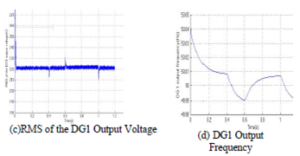 N. A. Ninad, L. A. C. Lopes, and I. S. Member, “Operation of Single-phase Grid-Connected Inverters with Large DC Bus Voltage Ripple,” Proc. of the IEEE Canada Electrical Power Conference, 2007. LCL filter is usually used as an interface between inverters and the grid. However, due to the characteristics of LCL filter and system uncertainties, it is complex to design a controller with proper parameters. In this paper, with LCCL filter, the order of the inverter control system can be reduced from third order to first order, and an uncertainty and disturbance estimator based control strategy for grid-tied inverters with LCCL filter is proposed. Specifically, the proposed control strategy consists of differential feed forward, proportional–integral controller, and grid voltage feed forward. Moreover, with one-sampling computation plus half-sampling pulse width modulation delays considered, a simple and clear tuning algorithm for the proposed control strategy is presented. Finally, the inverter system with the proposed control strategy is investigated, and the effectiveness is supported by the tuning and comparative experiments with a 2-kW inverter. Fig. 1. System topology of the grid-tied inverter with LCCL filter. Fig. 2. Result of UDE-based control without grid voltage feed forward. (a) Injected grid current i2 . (b) Spectrum of the injected grid current. Fig. 3. Tuning results of UDE-based control with the same α = 10 000 rad/s, β = 5000 rad/s, and different k. (a) k = 10 000 rad/s. (b) k = 9000 rad/s. (c) k = 7000 rad/s. Fig. 4. Result of UDE-based control under i*12 (s) = 10 A with α = 10 000 rad/s, β = 5000 rad/s, and k = 8000 rad/s. (a) Injected grid current i2 . (b) Spectrum of the injected grid current. Fig. 5. Result of PI control under i*12 (s) = 10 A with kp = 17 and ki = 14400. (a) Injected grid current i2 . (b) Spectrum of the injected grid current. For grid-tied inverter, LCL filter is widely used to attenuate the high switching frequency harmonics caused by PWM. However, due to the characteristic of LCL filter and uncertainty, it is complex to design a controller with proper parameters. In this paper, with LCCL filter, the inverter control system can be degraded from third order to first order. And a UDE-based injected grid current control strategy was built. The proposed strategy unified the system uncertainty and disturbance into the lumped disturbances, and the closed-loop system adjusted by PI regulator approached to the reference model. Meanwhile, the PI controller can be expressed in the error feedback gain, the desired closed-loop bandwidth, and the approximate lumped disturbance bandwidth. Moreover, with one-sampling computation plus half-sampling PWM delays considered, a simple and clear tuning algorithm for the proposed control strategy was provided. Finally, the proposed strategy was verified by the tuning and comparative experiments on a 2-kW inverter. M. Lindgren and J. Svensson, “Control of a voltage-source converter connected to the grid through an LCL-filter-application to active filtering,” in Proc. IEEE Power Electron. Spec. Conf., May 1998, pp. 229–235. E. Twining and D. G. Holmes, “Grid current regulation of a three-phase voltage source inverter with an LCL input filter,” IEEE Trans. Power Electron., vol. 18, no. 3, pp. 888–895, May 2003. G. Shen, D. Xu, L. Cao, and X. Zhu, “An improved control strategy for grid-connected voltage source inverters with an LCL filter,” IEEE Trans. Power Electron., vol. 23, no. 4, pp. 1899–1906, Jul. 2008. G. Shen, X. Zhu, J. Zhang, and D. Xu, “A new feedback method for PR current control ofLCL-filter-based grid-connected inverter,” IEEE Trans. Ind. Electron., vol. 57, no. 6, pp. 2033–2041, Jun. 2010. R. P. Alzola, M. Liserre, F. Blaabjerg, R. Sebasti´an, J. Dannehl, and F. W. Fuchs, “Analysis of the passive damping losses in LCL-filter-based grid converters,” IEEE Trans. Power Electron., vol. 28, no. 6, pp. 2642–2646, Jun. 2013.
power electronics ieee is the application of solid-state electronics to the control and conversion of electric power. The first high power electronic devices were mercury-arc valves. In modern systems the conversion is performed with semiconductor switching devices such as diodes, thyristors and transistors, pioneered by R. D. Middlebrook and others beginning in the 1950s. In contrast to electronic systems concerned with transmission and processing of signals and data, in power electronics substantial amounts of electrical energy are processed. An AC/DC converter (rectifier) is the most typical power electronics device found in many consumer electronic devices, e.g. television sets, personal computers, battery chargers, etc. The power range is typically from tens of watts to several hundred watts. In industry a common application is the variable speed drive (VSD)that is used to control an induction motor. The power range of VSDs start from a few hundred watts and end at tens of megawatts. Induction motor (IM) is the workhorse of the industries. Amongst various speed control schemes for IM, variable-voltage variable-frequency (VVVF) is popularly used. Inverters are broadly used to produce variable/controlled frequency and variable/controlled output voltage for various applications like ac machine drives, switched mode power supply (SMPS), uninterruptible power supplies (UPS), etc. This paper presents the two-fold solution of control for such loads. In this novel solution, rms values of output voltage is varied by controlling the inverter duty ratio which operates as an ac chopper, while the fundamental frequency of output voltage is varied by controlling the buck-boost converter according to the reference frequency given to it. The buck-boost converter shuffles between buck-mode and boost-mode to produce required frequency by generating the modulated dc-link for the inverter, unlike conventional fixed dc-link in case of ac-dc-ac converters. The proposed technique eliminates over modulation (as in conventional pulse width modulated inverters) and hence the non-linearity, and lower order harmonics are absent. Further, it reduces dv/dt in the output voltage resulting less stress on the insulation of machine winding, and electromagnetic interference. However, the proposed scheme demands more number of power semiconductor devices as compared to their conventional ac-dc ac counterparts. Simulation studies of proposed single-phase as well as three-phase topologies are carried out in MATLAB/Simulink. Hardware implementation of proposed single-phase topology is done using dSPACE DS1104 R&D controller board and results are presented. Fig. 1. Block diagram for the proposed topology. (a) Plot of output voltage (rms) of inverter v/s duty ratio. (b) Output voltage waveform of the proposed inverter: [X-axis: 1 div. = 0.01 s, Y-axis: 1 div. = 100 V]. (c) Output voltage of conventional inverter for unipolar SPWM: [X-axis: 1 div. = 0.01 s, Y-axis: 1 div. = 100 V]. (d) FFT plot of the output voltage with the proposed topology. (e) FFT plot of output voltage with unipolar SPWM inverter. Fig. 2. Analysis of the proposed topology. 1 div. = 50 V]. (b) Comparison of reference voltage and input voltage (upper trace), comparison of reference voltage and output voltage (lower trace) of buck-boost converter Upper trace: [X-axis: 1 div. = 0.01 s, Y-axis: 1 div. = 100 V] Lower trace: [X-axis: 1 div. = 0.01 s, Y-axis: 1 div. = 50 V]. f=20 Hz, f=25 Hz: [X-axis: 1 div. = 0.01 s, Y-axis: 1 div. = 100 V]. f=40 Hz, f=50 Hz: [X-axis: 1 div. = 0.01 s, Y-axis: 1 div. = 100 V]. Fig. 3 Simulation results of the proposed buck-boost converter. (b) Gate pulses of MOSFETs M2 and M3, Comparison of input voltage and reference voltage, Gate pulses M1, M2, M3: [X-axis: 1 div. = 0.002 s, Y-axis: 1 div. = 1 V], Voltage: [X-axis: 1 div. = 0.002 s, Y-axis: 1 div. = 100 V]. (c) Output voltage waveforms of buck-boost converter without La Output voltage of buck-boost converter and reference voltage with La: [X-axis: 1 div. = 0.02 s, Y-axis: 1 div. = 50 V], Output voltage of inverter with La: [Xaxis: 1 div. = 0.02 s, Y-axis: 1 div. = 100 V]. (d) Output voltage of buck-boost converter and inverter and inverter with La Blue color: Reference voltage, Green color: Actual output voltage of buckboost converter, Output voltage of buck-boost converter and reference voltage without La: [X-axis: 1 div. = 0.02 s, Y-axis: 1 div. = 50 V], Output voltage of inverter without La: [X-axis: 1 div. = 0.02 s, Y-axis: 1 div. = 100 V]. Fig. 4 Results for improving output voltage of inverter. Y-axis: 1 div. = 50 V]. Fig. 5 Simulation result of proposed three-phase topology. Relation between fundamental output voltage (rms) and duty ratio of switches of ac chopper operating as inverter is linear. So, on increasing the duty ratio of pulses given to switches, output voltage of inverter increases linearly. To get 100 % inverter output voltage, no need to go in over modulation region, which eliminates the non-linearity. The profile of output voltage of inverter (with chopping depending on the duty ratio of its switches) is sinusoidal because of modulated dc-link provided by the buck-boost converter, which reduces lower order harmonics, and %THD. It also reduces dv/dt as envelope of output voltage is sinusoidal as full dc-link voltage is not switched. This reduction in dv/dt reduces the stresses on the enameled copper wire of the stator winding of the motor. It will reduce the inter-turn short circuit failure of stator winding. Also this reduction of dv/dt will reduce the electromagnetic interference generated by the inverter in the drive system. In the proposed scheme, output voltage of buck-boost converter follows the reference voltage very closely for different frequencies, so when reference voltage is greater than input voltage, converter has to operate in boost mode else operates in buck mode. Hardware implementation of proposed single phase scheme is carried out. The hardware results have very close resemblance with the simulation results. The proposed concept is novel, and with appropriate refinements, can offer new era of control of inverter for V/f three-phase induction motor drive applications. However, it demands more number of power semiconductor devices compared to that needed for the conventional ac-dc-ac approach. Jose Thankachan, and Saly George, “A novel switching scheme for three phase PWM ac chopper fed induction motor,” in Proc. 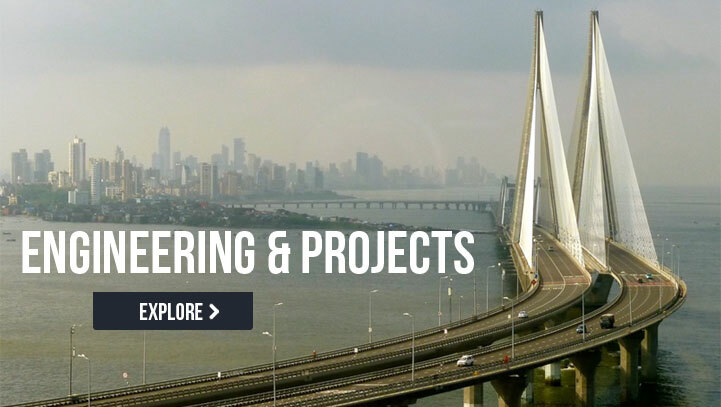 IEEE 5th India International Conference on Power Electronics (IICPE), pp. 1-4, 2012. 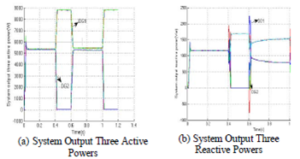 Amudhavalli D., and Narendran L., “Speed control of an induction motor by V/f method using an improved Z-source inverter,” in Proc. International Conference on Emerging Trends in Electrical Engineering and Energy Management (ICETEEEM), pp. 436-440, 2012. G. W. Heumann, “Adjustable frequency control of high-speed induction motors,” Electrical Engineering, vol. 66, no. 6, pp. 576-579, June 1947. Mineo Tsuji, Xiaodan Zhao, He Zhang, and Shinichi Hamasaki, “New simplified V/f control of induction motor for precise speed operation,” in Proc. International Conference on Electrical Machines and Systems (ICEMS), pp. 1-6 , 2011. V. K. Jayakrishnan, M. V. Sarin, K. Archana, and A. Chitra, “Performance analysis of MLI fed induction motor drive with IFOC speed control,” in Proc. Annual IEEE India Conference (INDICON), pp. 1-6, 2013. This paper proposes a sensorless speed control technique for Brushless DC Motor (BLDC) drives by estimating speed from the hall sensor signals. Conventionally, the speed is measured using precision speed encoders. Since these encoders cost almost half of the entire drive system, there arises the need for a low cost speed estimation technique. This is proposed by measuring the frequency of the in-built-hall sensor signals. Here, a closed loop speed control of BLDC motor is proposed using a current controlled pulse width modulation (PWM) technique. Since BLDC motor is an electronically commutated machine, the commutation period is determined by a switching table that shows the hall signals’ status. The entire system was simulated in MATLAB/Simulink and the performance of the system was analyzed for different speed and torque references. This paper proposes a low cost speed estimation technique for BLDC motor drive. This method was found to be working for the entire range of speeds below the rated speed. The performance of the system was comparable with that of the conventional speed encoder based control technique. Actual speed was found to maintain the reference speed for different values of load torques. This was verified successfully by using MATLAB/Simulink. Since the proposed speed estimation technique does not require the motor parameters like resistance, inductance etc., the system is suitable for robust applications, especially in industries. Although the work emphasizes on speed encoder-less control technique, the cost of the system can be further reduced by replacing the hall sensors with a suitable low cost counterpart. Since the torque-ripples are found to be appreciably high, novel techniques for its reduction can be studied. Hsiu-Ping Wang and Yen-Tsan Liu, “Integrated Design of Speed- Sensorless and Adaptive Speed Controller for a Brushless DC Motor,” IEEE Transactions on Power Electronics, Vol. 21, No. 2, March 2006. K.S.Rama Rao, Nagadeven and Soib Taib, “Sensorless Control of a BLDC Motor with Back EMF Detection Method using DSPIC,” 2nd IEEE International Conference on Power and Energy, pp. 243-248, December 1-3, 2008. W. Hong, W. Lee and B. K. Lee, “Dynamic Simulation of Brushless DC Motor Drives Considering Phase Commutation for Automotive Applications,” Electric Machines & Drives Conference,2007 lEMDC’07 IEEE International, , pp. 1377-1383, May 2007. B. Tibor, V. Fedak and F. Durovsky, “Modeling and Simulation of the BLDC motor in MATLAB GUI,” Industrial Electronics (lSIE), 2011 IEEE International Symposium on Industrial Electronics, Gdansk, pp. 1403-1407, June 2011. V. P. Sidharthan, P. Suyampulingam and K. Vijith, “Brushless DC motor driven plug in electric vehicle,” International Journal of Applied Engineering Research, vol. 10, pp. 3420-3424, 2015. An inverter is a circuit which converts dc power into ac power at desired output voltage and frequency. The ac output voltage can be fixed at a fixed or variable frequency. This conversion can be achieved by controlled turn ON & turn OFF or by forced commutated thyristors depending on applications. The output voltage waveform of a practical inverter is non sinusoidal but for high power applications low distorted sinusoidal waveforms are required. The filtering of harmonics is not feasible when the output voltage frequency varies over a wide range. There is need for alternatives. Three level Neutral Point Clamped inverter is a step towards it. In normal inverters odd harmonics are present which causes distortion of the output waveform. By using the “THREE LEVEL DIODECLAMPED INVERTER” we can eliminate some number of harmonics hence increasing the efficiency of the inverter. A.Mwinyiwiwa, Zbigneiw Wolanski, ‘Microprocessor Implemented SPWM for Multiconverters with Phase-Shifted Triangle Carriers’ IEEE Trans. On Ind. Appl., Vol. 34, no. 3, pp 1542-1549, 1998. D. Soto, T. C. Green, ‘A Comparison of High Power Converter Topologies for the Implementation of FACTS Controller’, IEEE Trans. On Ind. Electronics, VOL. 49, NO. 5, pp. 1072-1080, OCTOBER 2002. Muhammad H. Rashid, Power Electronics: Circuits, Devices and Applications, Third edition, Prentice Hall of India, New Delhi, 2004. Dr. P. S. Bimbhra, Power Electronics, Khanna Publishers, Third Edition, Hindustan Offset Press, New Delhi-28, 2004. 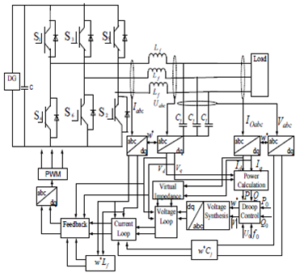 In this paper represent the simulation analysis ofspace vector pulse width modulated(SVPWM) inverter fedInduction motor drives. The main objective of this paper isanalysis of Induction motor with SVPWM fed inverter and harmonic analysis of voltages & current. for control of IMnumber of Pulse width modulation (PWM) schemes are used tofor variable voltage and frequency supply. The most commonlyused PWM schemes for three-phase voltage source inverters(VSI) are sinusoidal PWM (SPWM) and space vector PWM(SVPWM). There is an increasing trend of using space vectorPWM (SVPWM) because of it reduces harmonic content involtage, Increase fundamental output voltage by 15% & smoothcontrol of IM. So, here present Modeling & Simulation ofSVPWM inverter fed Induction motor drive inMATLAB/SIMULINK software. The results of Total HarmonicDistortion (THD), Fast Fourier Transform (FFT) of current areobtained in MATLAB/Simulink software. The SVPWM Inverter fed induction motor driveModeling & then simulation is done in MATLAB/SIMULINK 12. From simulation results of THD & FFT analysis concluded that SVPWM technique is better overall PWM techniques which gives less THD in Inverter current 4.89%., which under the permissible limit. Bimal K Bose, modern power electronics and ac drives © 2002Prentice hall ptr.